Jamie has provided this Parker and Bailey Red Wine Stain Remover review. I use Parker & Bailey's Red Wine Stain Remover when I spill red wine on my clothes or my carpet. It is the absolute best product to use when you have a wine stain, even old ones. I first started using this product when I carelessly knocked a bottle of wine from my table. It splattered all over my clothes, and on my carpet. First, I called my friends asking for their recommendations for a good red wine stain remover, but no one had a good one. Then, I asked my mom what the best product to use was, and she recommended Parker & Bailey, and now I won't use anything else. I love the fact that it isn't toxic because I have pets and kids and don't want those products to harm them. One thing I also really appreciate about it is that there is no odor like other products I've heard of. Friends have complained about how strong some of the stain removers they used were. The ease of use is fantastic and only requires a little remover and a blot with a white cloth. It literally took me less than 5 minutes to get my stain up! I hate cleaning so this was great for me because it was easy and took very little time. I would recommend Parker & Bailey Red Wine Stain Remover to anyone looking for a great wine stain remover! Thanks Jaime for sharing your review of this product. So, does anyone else have a wine stain remover that works well for them? If so, you can share your wine stain remover reviews here, or read others that have already been submitted. I used this red wine stain remover on a polo shirt of my husband's. 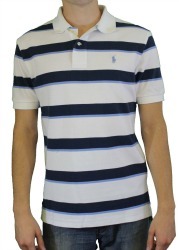 The shirt had stripes, with white and blue. The stain remover did not remove the stains on the white portion of the stripes, even though I applied the solution right after the wine spill. The shirt ended up with some faded red wine areas, but it was ruined. I washed it 5 times, using a variety of stain removers after the Parker and Bailey solution failed to work. I have used other red wine stain removers in the past, and they worked much better than this one did. I am very disappointed. Thanks for sharing your experience with the product, but sorry it didn't work well for you. I'm always glad to hear additional points of view, so I can figure out the best products to recommend for everyone to use. Here is a story from a SR101 reader calling herself "Oopsie Daisy," sharing how Parker & Bailey red wine stain remover saved the day for her, after what could have been a disastrous red wine spill. I used this red wine stain remover just last night. I was drinking red wine when my little guy ran over and grabbed my arm spilling red wine all over my WHITE dress! I was horrified! My mom used Parker and Bailey and it instantly took out the stain! We put it in the wash and it's good as new! Thanks for sharing how this red wine stain remover has worked for you. Aren't Moms the greatest? They always seem to know the right thing to do, don't they? The other review I've received of this product (see above) also had their Mom suggesting it to them. I guess Mom must be on to something, huh? I would love to hear more reviews and experiences of this product, good or bad. You can share your wine stain remover review here, for this or any other product, telling me how it worked for you. In addition, you can read other reviews already submitted.